I love hummus. Who would have known? Well, considering I really just love anything with chick peas in it, I guess that may be why I like it so much. Lily and Canyon enjoy popping chick peas into their mouths, but River will only eat them if I serve as hummus. I stumbled upon hummus one day, somewhere, but I don’t recall when and/or where. All I know is that I could actually eat it alone and be just as happy as eating as a spread or dip for something. Of course, some seasoning would be required. Typically, hummus is used as a condiment – a dip or a sandwich spread, etc. like on this delicious sandwich. 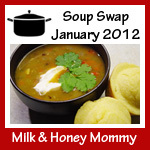 It is a multi-purpose (a word not often used regarding food – or better versatile) food. Also, it is extremely nutritious. I used to purchase prepared hummus, but realized my pocket book was not going to be able to keep up with my appetite for it and I was going to have to figure out a better way to afford what has become a staple on our menu. Ask, and you shall receive. 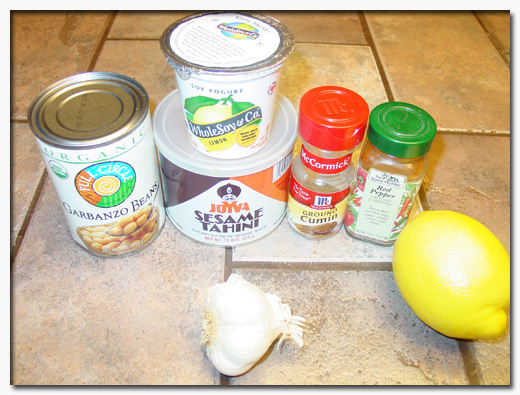 The local grocery store where I used to shop (Bel Air – oh how I miss that store) publishes a quarterly magazine called Something Extra that is the best FREE magazine ever and is also where you can find the following hummus recipe (Spring 2006). After I made this recipe, there was no going back to paying $5+ for an 8oz. tub of prepared hummus. Also, when you make it yourself, then you can add or reduce as much of any ingredient as you want. If you have a love of bell peppers, then add that and make a bell pepper hummus. I add a little more garlic and just let my hand hang over the bowl until it gets tired of adding the cayenne pepper. I like it just a little more spicy. This recipe is quick and very easy. I usually double it because between my children and Darling D, it doesn’t last in the house as long as I would like. 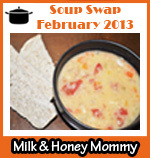 If you make it and find you have too much left over, then it can be frozen in a freezer-safe container. If you’ve had hummus before and just didn’t quite like it, I encourage you to give it just one more try using this recipe. I’ve converted many. 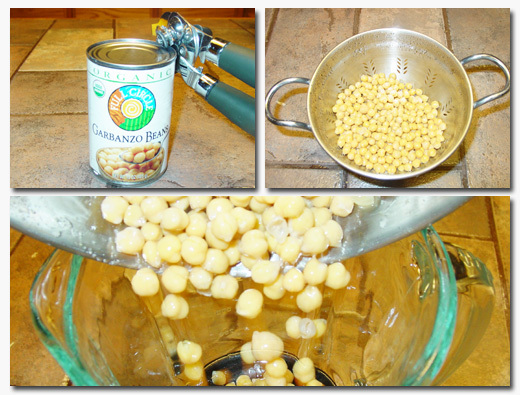 Drain the garbanzo beans and rinse with water before pouring them into a blender or food processor. If you’re using dry beans, then follow the directions for preparing them before using. This may require letting them soak overnight. 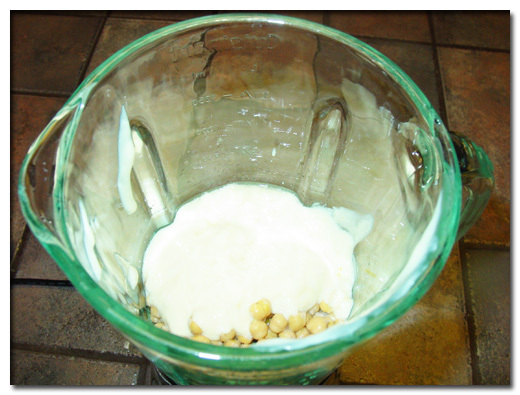 Pour/scoop the yogurt in with the garbanzo beans. I’m telling you, this recipe is sooouuuper (super) easy! 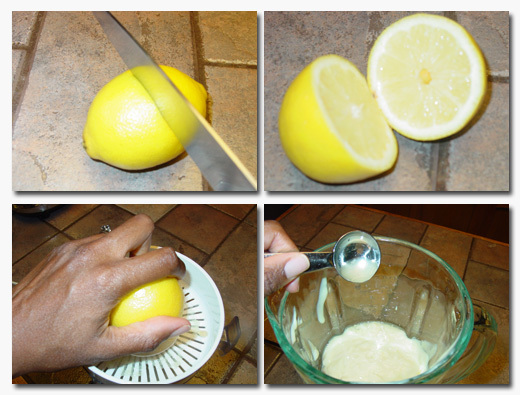 Cut a lemon and squeeze the life out of it. Add the juice from the lemon to the mixture. If you have extra juice left over, then save it to add to a nice hot cup of tea or a fresh glass of water. Believe it or not you’re almost finished. When you open the tahini, it may be a little clumpy and need some stirring. 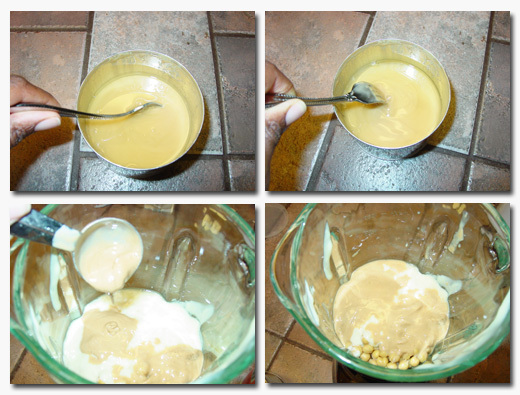 I usually use a fork or small whisk to blend it together until the consistency is creamy and loose. Make sure you mix it well before measuring to use. If you see the picture when I’m adding it, then you may notice it appears to spill into the mixture. Add the cumin and the cayenne pepper. Add the garlic to the mixture. 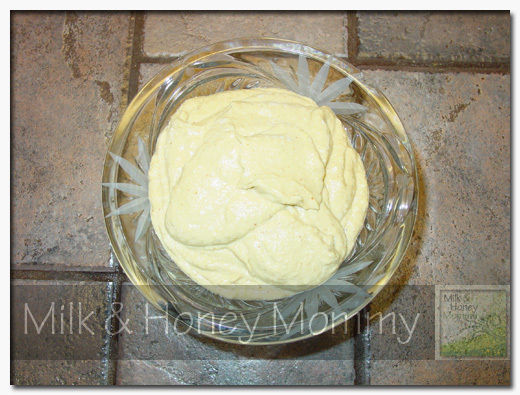 There is no need to chop them because the food processor blends it well into the mixture. 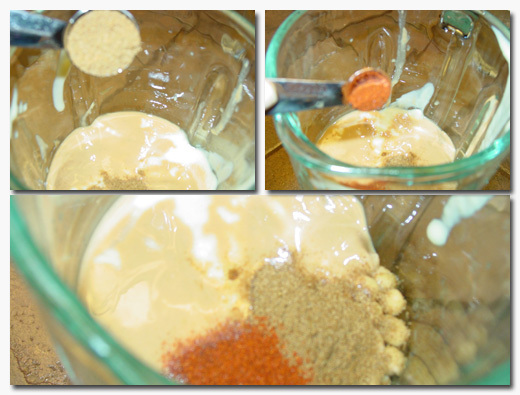 * Turn on the blender and let it mix for about three minutes or until all ingredients are blended well. 1. 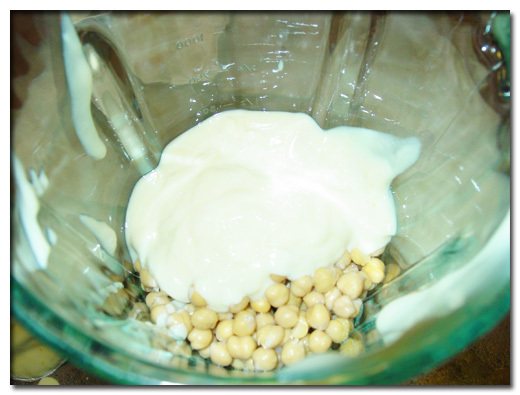 Add drained garbanzo beans to a blender. 2. 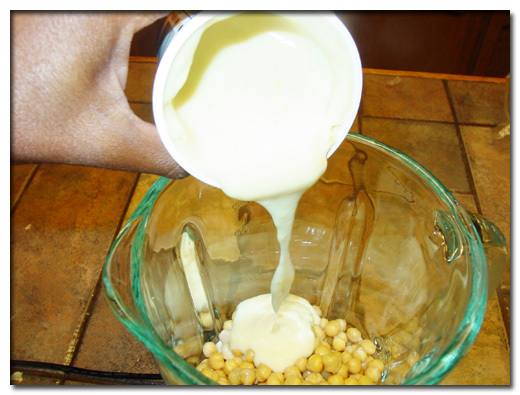 Add yogurt to garbanzo beans. 3. Add lemon juice to mixture. 8. Blend well and serve. *1. I like using a blender instead of a food processor when making small batches because all of the ingredients hit the blade because of the churning motion of the blender. 2. I use the complete container of the yogurt because it makes it smoother and easier to spread. Well that’s certainly interesting to say the least. I’ve heard of hummus but never actually knew what it was. I don’t think I’ve ever had garbonzo beans either. What do those taste like? Garbanzo beans, actually, are not too bad, but taste even better when seasoned. They are somewhat nondescript (like tofu, but taste much better) in flavor where they absorb, or become like what you season them with. 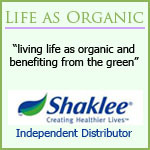 Some benefits are that you can make them taste as you want while getting the nutrition from the bean. Grab a can (then you won’t have to soak them) the next time you’re at the grocery store or you may find them at a restaurant salad bar (love them in a salad), be daring, and give them a try. I’m glad you’re back w/the living. Are you burnt out yet from Battlestar? I don’t make hummus as often as we love it. Isn’t that funny?